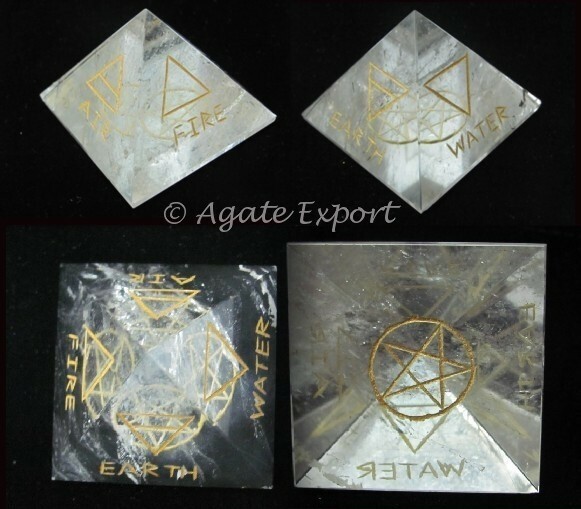 Crystal pyramid has energy stored on its tip. It absorbs energy from the surrounding and emits it when required. Agate Export offers you crystal pyramid with symbols of 5 elements â€“ air, water, fire, earth and spirit. The pyramid attracts healing energies from all these elements.